The annual pilgrimage to the Apfelwein Weltweit Messe (Worldwide Apple wine Festival) in Frankfurt was dutifully attended last weekend. This is our 3rd return and as such we finally came prepared! Petty cash, signage and enough German speakers. Great Europeans the Germans might be but speaking anything other than the native tongue is a little more challenging. 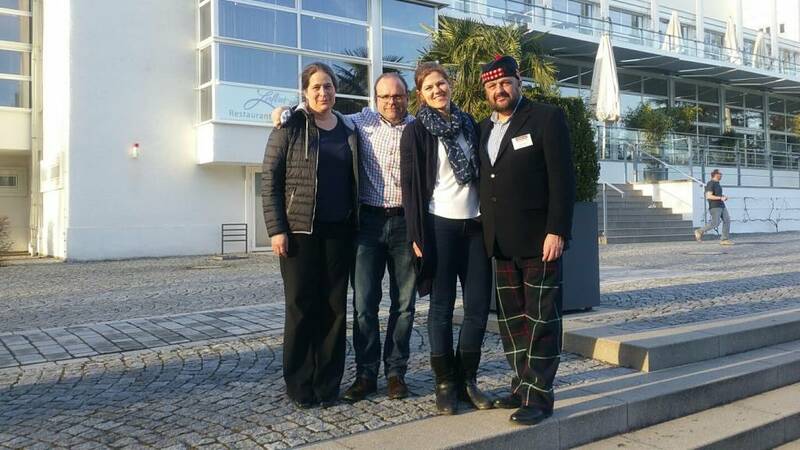 My A Team consisted of Alex Gibbins of Hurstwood Cider in the UK, Dr. Hedda Weitz from Aberdeen University – both of whom deployed their German linguistic skills with such adeptness and skill the attendees were bewitched. They were ably assisted by Dr. Rubrab MacSeudar of the university of Uisge Beatha – dressed snappily in his troos and hat, his academic restraint gave way to an uncanny knack of convincing customers to part with hard cash! 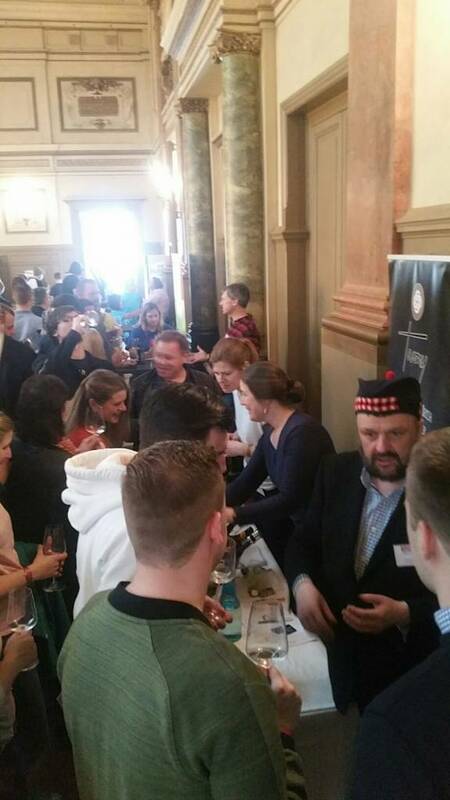 The festival was great, well attended and it was fun to meet new and familiar faces from around the industry and picking up Pommes d’Or for our Medium Dry Cider and our limited edition apple and rhubarb cider Rós was an excellent addition to a great weekend! 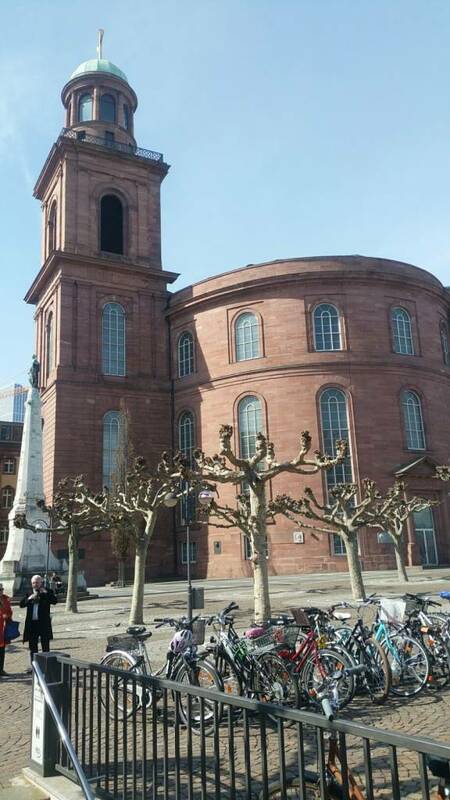 The key difference for the Frankfurt jaunt this year was that we arrived early enough to undertake a little sightseeing. 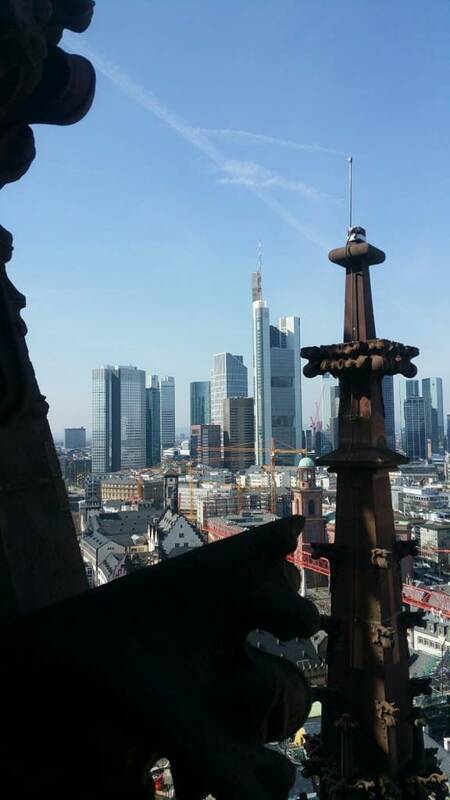 A race to the top of the cathedral spire which looked down on the European Central Bank (a little challenging after a hearty breakfast – the spire, not the bank). A visit to the seat of the first all-German parliament subsequently destroyed in WW2. And of course, no trip to Germany is complete without a Currywurst and some rather questionable fizzy yellow liquid in a stein. Whilst Frankfurt isn’t a large city, 670k people, that’s slightly less than double the size of Cork city, its infrastructure and public transport are outstanding. Wouldn’t it be great if we could strive to achieve the same! One of the most striking features I noted was the destruction of immediate post war concrete buildings and the re-creation of street and building structure based on the original 18th century layout – just updated with all the latest mod cons. One word of warning though, beware the haircut in the excellent Turkish barbers. Particularly when there is confusion between a trim with a “number 4” and a hair length of 4mm!